Hailing from the hometown of Tiesto & Hardwell, Dutch DJ and producer Dannic has already achieved much since arriving onto the scene in 2009. His production skills are highly sought after across the globe and as he gains DJ support from the likes of EDX, John Dahlback, Ferry Corsten, Eddie Halliwell, Nicky Romero, Paul Oakenfold, Sander van Doorn and Tiesto, he gets set for his next release, his mix compilation for ‘Toolroom Knights’. Following the success of his first Toolroom Records release ‘Clobber’ at the beginning of 2013, and his recent release of ‘Ignite’, Dannic is back on the label with this compilation, featuring a selection of some of the best tracks of the year, an exclusive track by Dannic entitled ‘Bring The Funk’, a selection of mash-ups within the mix combining the works of Nom De Strip, Tommy Trash, Steve Angello and Wayne & Woods, and a number of Toolroom classics hand-picked by Dannic. The album delves into a multitude of genres boasting a whole host of well-known names including Prok & Fitch, My Digital Enemy, Sick Individuals, Hardwell, Mark Knight, Funkagenda, Marco V, Muzzaik and many more. 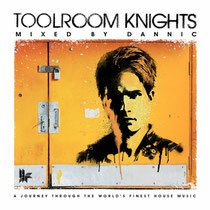 Packed with 32 tracks alongside a full-length DJ mix, ‘Toolroom Knights Mixed By Dannic’ is a another top edition to the Toolroom Knights catalogue.